It’s good to know how to order scotch whether you like the stuff or not. It just makes for a more socially well-rounded individual. 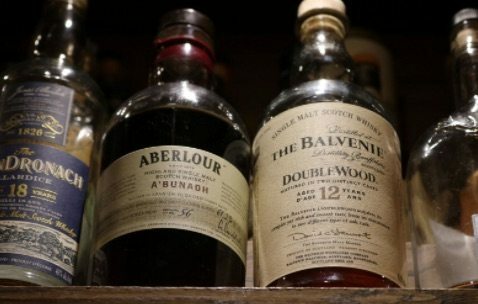 Here are some scotch terms that you can learn before you head out to your next fancy event. Scotch – scotch simply implies that the whisky was produced in Scotland. Other countries that produce whiskies are Ireland, Canada, America and Japan. Peat – a moss common in Scotland. It is dried and used to fuel the fire to dry the malt. The peat fire gives the scotch a strong smokey aroma and taste. Some scotches are known for being peaty. Blended Scotch – a bottle containing two different scotch whiskies. Blended scotch tends to be of lower quality. Single Malt – a single malt scotch is like a purebred. Aged in one barrel and not blended with any other distillery’s whiskies. Although most distilleries do mix different batches of different ages together. Malt – Malt indicates that barley grains were used during the germination and fermenting process. Vatted Malt – a blend of single malts. This is done to control and produce specifics and desired flavors. Age – Indicates the age of maturation of the youngest component in the scotch whisky. Cask – Scotches are aged in various types of casks or barrels. Consulthow to taste scotch for a full explanation. Neat – served in a rocks glass at room temperature with no ice. Rocks – serve with ice cubes. Some scotch connoisseurs may specify how many rocks they’d like. Water Side or Water Back – served neat with a small glass of water on the side so water can be added to desired taste. Splash of Water – served neat with a splash of water already poured in. A splash would be approximately half an ounce of liquid. So now you know if you hear a guy order “Scotch. Neat.” he’s not commenting on how cool it is that the bar carries scotch. And that’s how to order scotch.